Following the recall by a Brazilian producer of more than 450 t of chicken because of potential salmonella contamination last month, nonprofit trade advocacy movement FairPlay founder Francois Baird says the South African government has to ban Brazilian chicken imports until all producers can meet international health standards. 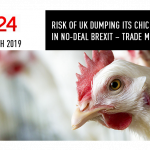 He cites the 2018 import figures, produced by the South African Poultry Association from official statistics, which show that Brazil’s chicken exports to South Africa have risen from 241 180 t in 2015 to 348 155 t in 2018, and now comprise 61,5% of all chicken imports ending up in South Africa. Considering Brazil’s continuing food-safety problems, including the latest incident, Baird believes that government has good reason to question the safety of these imports. Salmonella causes food poisoning, which is often mild but can be fatal – particularly for the young and the elderly. The actions taken by Saudi Arabia and the EU to protect consumers against potential food safety risks will lead to justifiable public concern that similar action is not being taken here. “South Africa knows from the listeriosis crisis, which killed 200 people, how quickly food poisoning can spread. We do not need a salmonella food-poisoning crisis,” he emphasises. Moreover, Baird indicates that the massive volume of Brazilian chicken imports, combined with the “atrocious” food-safety record of that country’s meat producers, constitute a national food-safety risk. 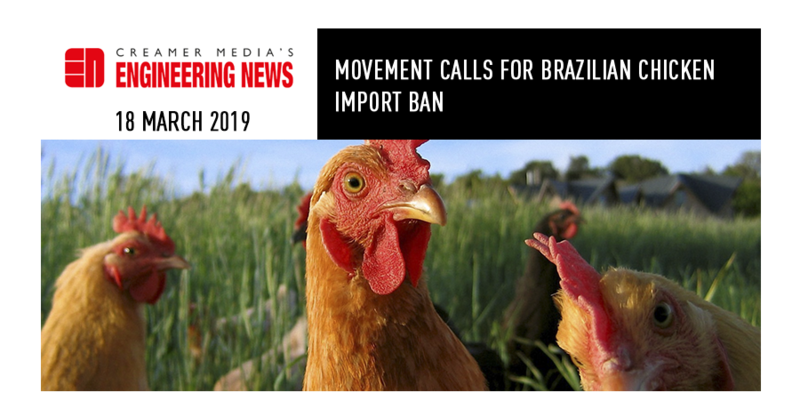 FairPlay also believes that banning imports from Brazil can benefit South Africa’s local poultry industry and create thousands of jobs, in line with the government’s stated objectives to combat rising unemployment. 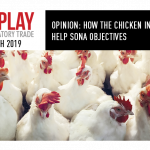 According to Baird, South Africa’s big chicken producers have repeatedly been proved by independent studies conducted at a leading research institute in Europe to be “extremely competitive” globally.